This 6 month club is a ton of fun! This is the 7th installment of Kim Diehl's Simple What-Not Club. Taught by the fantastic Marge Peterson, it meets every 2nd Sunday to enjoy coffee or tea and treats while talking quilting history, and project tips and techniques. Marge is a wonderful teacher who brings many beautiful examples of quilts to class. This class is an advanced beginner class, but don't be intimidated!! 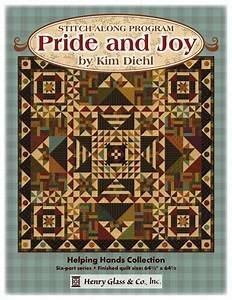 This group is super encouraging and will help you build your quilting skills. The club costs $30 for the year and includes the instructor fee and new pattern every month. A kit is available every month for an additional cost.